By Rachel Held Evans, on March 16, 2012. So the other night I dreamed that my sister Amanda and I were teammates on The Amazing Race. When we arrived at Buenos Aires, Argentina, we were surprised to find that the locals were celebrating a religious holiday that honored St. Bridget of Ireland and Chris Matthews of MSNBC. The streets were crowded with people carrying enormous posters of St. Bridget and Chris Matthews, and all the TVs were turned to MSNBC. We got lost. 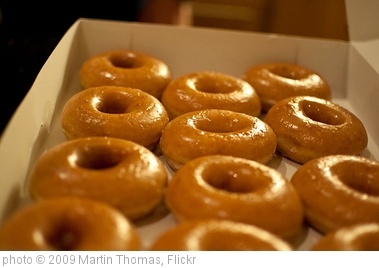 However, the traditional meal of the day was Kirspy Kreme doughnuts, so we didn't mind. I think we were the last to arrive, but for some reason, we still won a cruise. Had any crazy dreams recently?